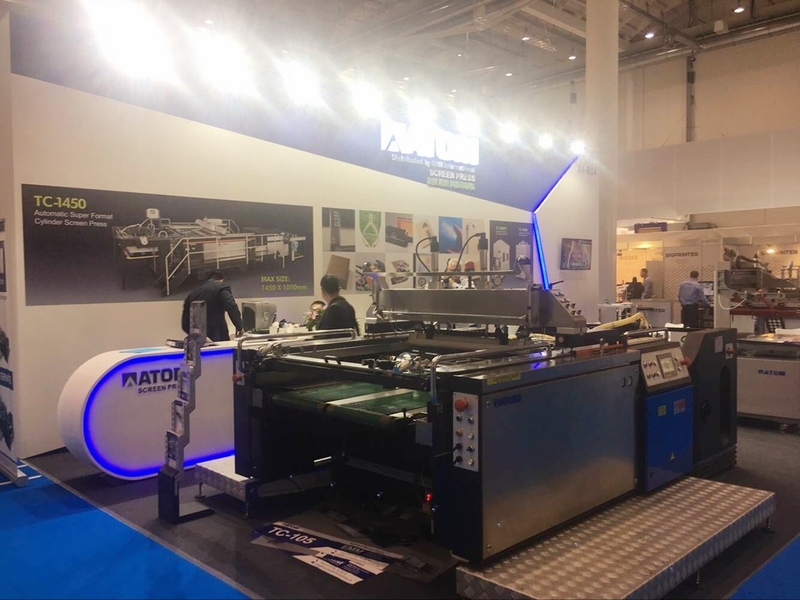 ATOM, the rising star of world screen press, had a successful international fair show in Hamburg FESPA, on May 8, 2017. After its debut two years ago in Cologne, this time ATOM had more popularity in Germany. 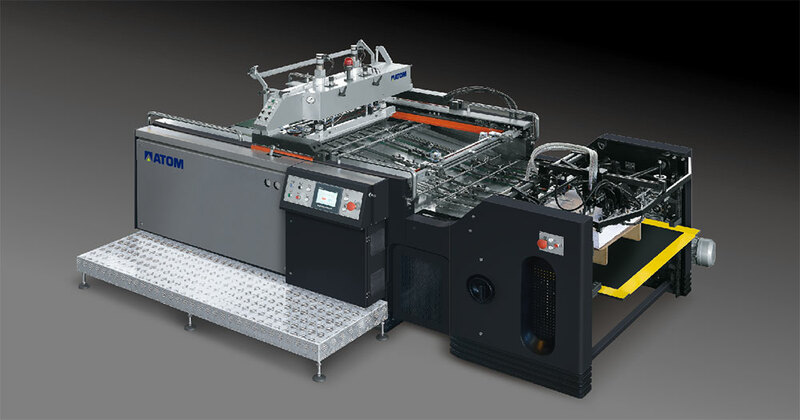 TC-105, the show machine is a great combination of world highest technology, which intends to be a new major force in international scree press competition. Designed under the classic Germany technology and know-how, the Atom machine, the first Chinese casted screen press with advanced pneumatic squeegee, opened loading board and 360-degree cylinder is going to take this great opportunity to meet all high-end customers of the world. This time, in Germany, ATOM has joined hands with EMM, a local specialist to give visitors more opportunity to see the highest technology of screen press in the world. Praises were received from customers not only from Germany, but Romania, Russia, Israel and other countries around the world. Meanwhile ATOM is preparing its next world show that will happen soon in the United States.